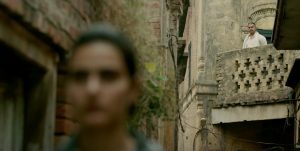 Dangal: In Phogat’s words, Shaabash! Children forced to fulfil an incomplete dream of their dad’s because he was forced to bow down to his parent’s wishes and pursue what they thought best is a little tragic and a lot true. There are stories that paint such fathers as self-seeking and obstinate prompting much frustration and conflict but Dangal isn’t like that. If anything, director Nitesh Tiwari’s exhilarating creation makes a strong case for the virtues of Indian parenting. There’s a silver lining to erstwhile wrestler Mahavir Singh Phogat’s (Aamir Khan) purpose that allows his daughters to break out of a sexist rut, become their own person and achieve international glory. To accomplish this, he demands their unswerving cooperation with entitlement and pride through methods that may seem stringent and unorthodox but have the greater good of his offspring at heart. A resident of a modest village in Haryana, Phogat’s feminism is neither innate nor commonplace, it surfaces only after his wife (a terrific Sakshi Tanwar) gives birth to four girls in a row and Phogat realises the idiocy of his conviction that believes only a boy can deliver his dream. Tiwari addresses this widespread gender bias, wherein the village community prescribe preposterous schemes to ensure a boy’s birth, like a satire highlighting the absurdity and inadequacy of these superstitions. 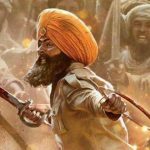 At the same time, he’s careful not to belittle the prejudice and criticism the entire family face after Phogat begins coaching his two elder daughters — Geeta (Zaira Wasim) and Babita (Suhani Bhatnagar). Tiwari invests a great deal of time and energy in telling the magnificent real-life tale of the Phogats, meticulously reporting every obstacle and challenge that Geeta and Babita face as kids before their grown-up versions (Fatima Sana Shaikh and Sanya Malhotra) take charge. Much mirth and melodrama spurts out of their resistance and rebellion, frequently encapsulated in Dangal‘s wonderful, whimsical soundtrack. 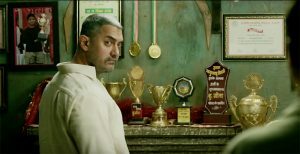 Dangal is one of those few films that discuss strategy and technique in a manner that’s easy and entertaining to grasp. I am not familiar with the sport but by climax point, I could predict the winning move because of how well it was spelt out on earlier in the story. The first ever between a young Geeta and a boy at local dangal and the final two at Commonwealth games, where she faces tough competition from Nigeria and Australia respectively. Aggression wears itself attractively in these scenes possessing a real-time quality even as our support for the Phogats amplifies. Unlike the overblown Sultan with a somewhat similar milieu, Tiwari’s account of inspiring reality is lot more understated in its approach. 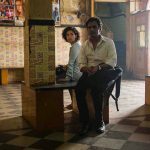 Two of its most poignant scenes are its quietest too — when Geeta weeps bitterly in the middle of heartbreaking haircut and Phogat’s crushed look as he takes off in a rickshaw immediately after entrusting his daughter’s fate to a snarky new coach (Girish Kulkarni). The physicality and mannerisms contribute to Aamir Khan’s credible exterior but the brilliance of his performance comes from within as he assumes the role of a father who will punish his kids if he deems fit and swallow his pride without a second thought if it did them any good. Ditto for the four girls playing his daughters at different stages — kids it’s expected but it’s unusual to see such lack on affectations in young women. They look like sisters, they play like champions and they hold their own in front of a seasoned, secure Aamir. From Jo Jeeta Wohi Sikandar to Jo Jeeta Wohi Geeta. And Babita. Now that’s what I call a win-win. This entry was posted in Columns & Reviews and tagged aamir khan, dangal, fatima sana shaikh, nitesh tiwari, sakshi tanwar, sanya malhotra, wrestling. Bookmark the permalink.